Mighty Words To Help Pisces Move Forward!  Pisces representatives are sensitive and romantic people with high ideals, which makes it hard for them to live in our cruel and unfair word. Your wishes seem impossible to fulfill and your goals are impossible to achieve. That’s why you prefer to escape the real world and hide in the world you’ve created in your head. Try to stick to these affirmations and your life will change for the better soon: “If my aims are real and practical, my wishes come true more often and bring me more happiness.” Or, “If I accept my real life as it is and enjoy every moment of it and it makes me feel protected.” These affirmations will make your life more cheerful and peaceful.